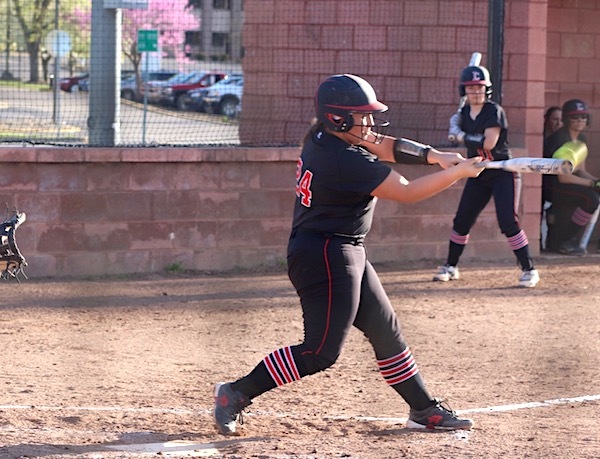 Louisa, Ky — After a 3-1 Spring Break trip down south the Lady Bulldogs returned home and jumped all over Chesapeake Ohio 14-1 to improve to 10-3 on the year Tuesday evening at the LCHS Softball Complex. Mackenzie Methax unloads on a pitch for a home run vs Chesapeake. Mackenzie Methax hit a monster 2 run homer and just missed another one settling for a double, Kassidy Cavins went 3-3 with a single, double, and a 2 run triple as the Lady Dawgs scored five in the bottom of the first and nine more in the second to put the Lady Panthers away quickly. Amber Triplett had 2 hits, Ashley Hayes and Abby Nelson doubled and scored 2 runs each, Abby Fletcher, Lillian Kinser, and Kensley Feltner had 1 hit and scored 1 run each, Halli Caudill scored twice. Alli Triplett picked up the win in the circle. 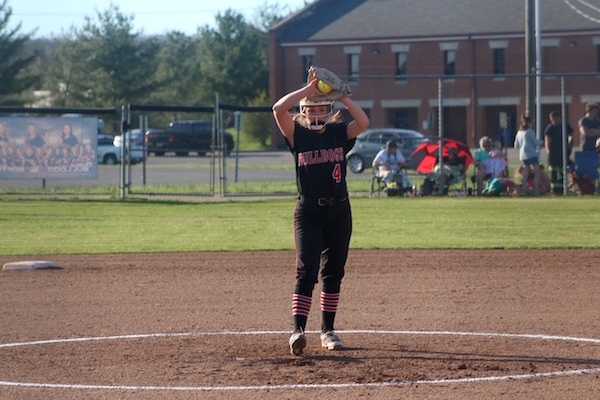 In their last game at the beach the Lady Dawgs beat a good Middlesboro ( 6-6 ) team from the 13th Region Thursday morning. Halli Caudill had 3 hits and scored twice, Abby Fletcher had 2 hits and 1 RBI, Mackenzie Methax had a double, RBI and scored a run, Kensley Feltner had 1 hit, Amber Triplett, Ashley Hayes, and Abby Nelson scored a run each. Alli Triplett look plateward against Chesapeake Tuesday. Alli Triplett was the winner in the circle and contributed with 2 hits. Lawrence Co. will return to action on Thursday at home for a 58th District game with Betsy Layne and then head to Pikeville High School for the Lyndel Potter Memorial Tournament this weekend.